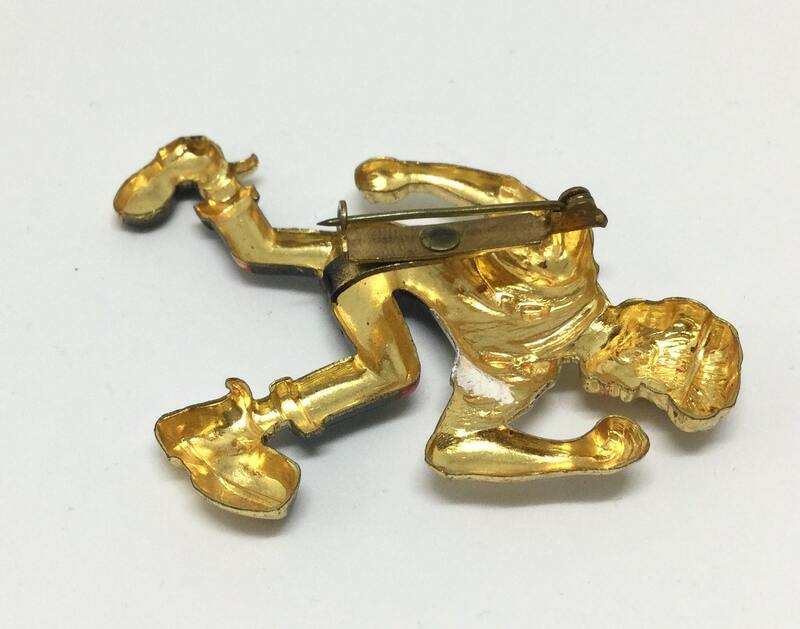 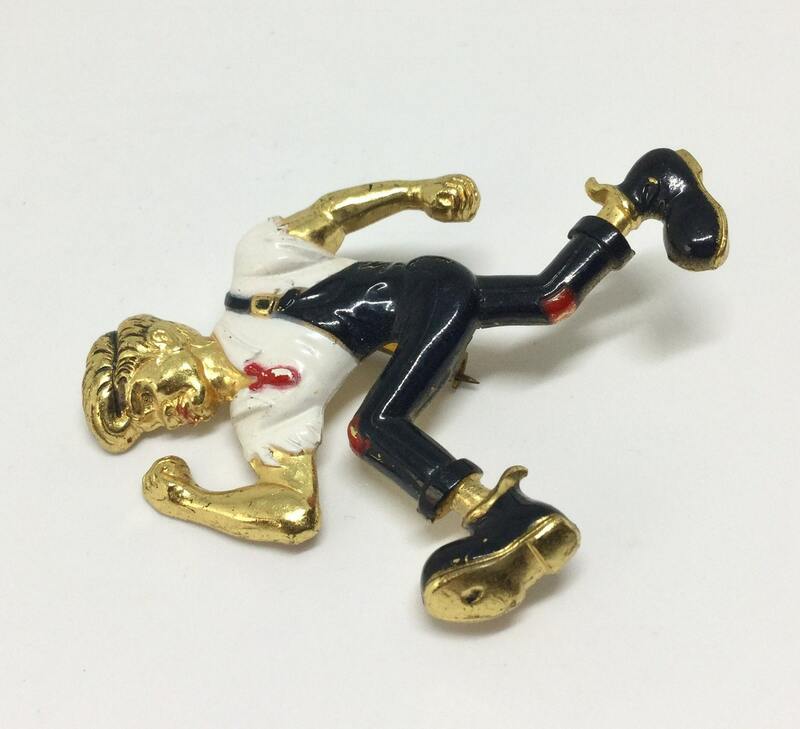 This is a rare 1950s vintage goldtone unsigned Li’l Abner enamel Figural brooch. 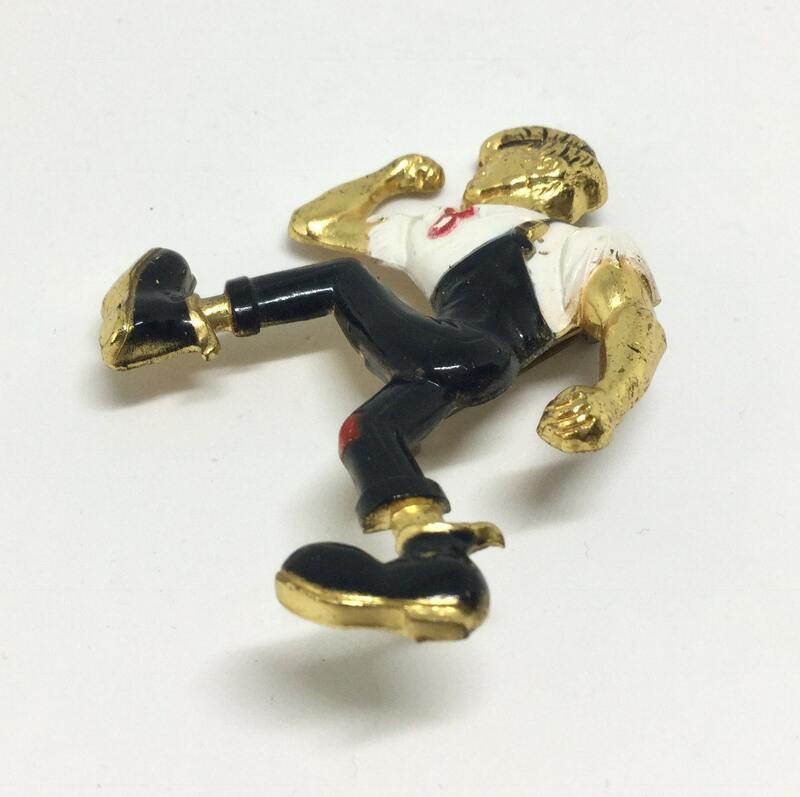 It is die stamped construction with black, white, and red enamel. 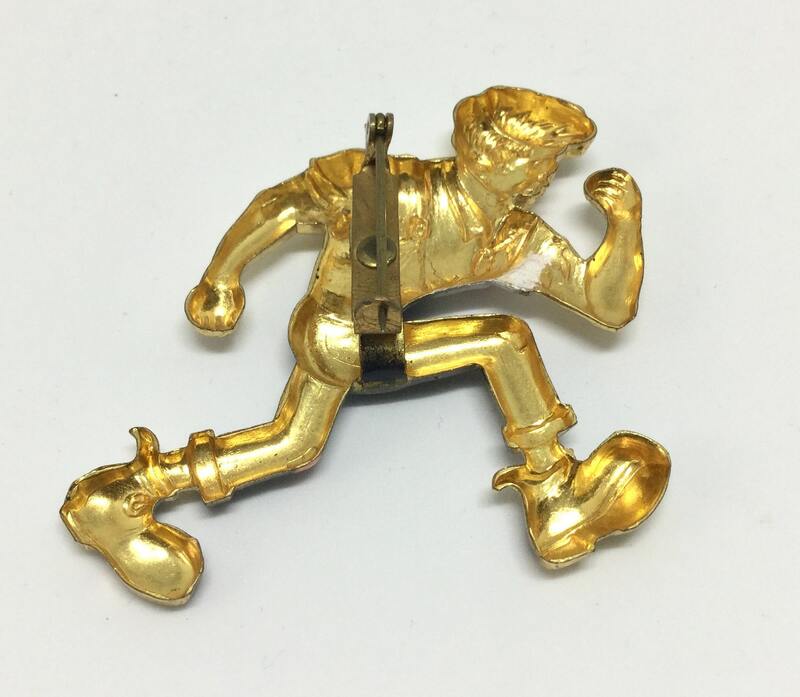 The character is from Al Capps comic strip “Li’l Abner” in newspapers from 1934 to 1977. 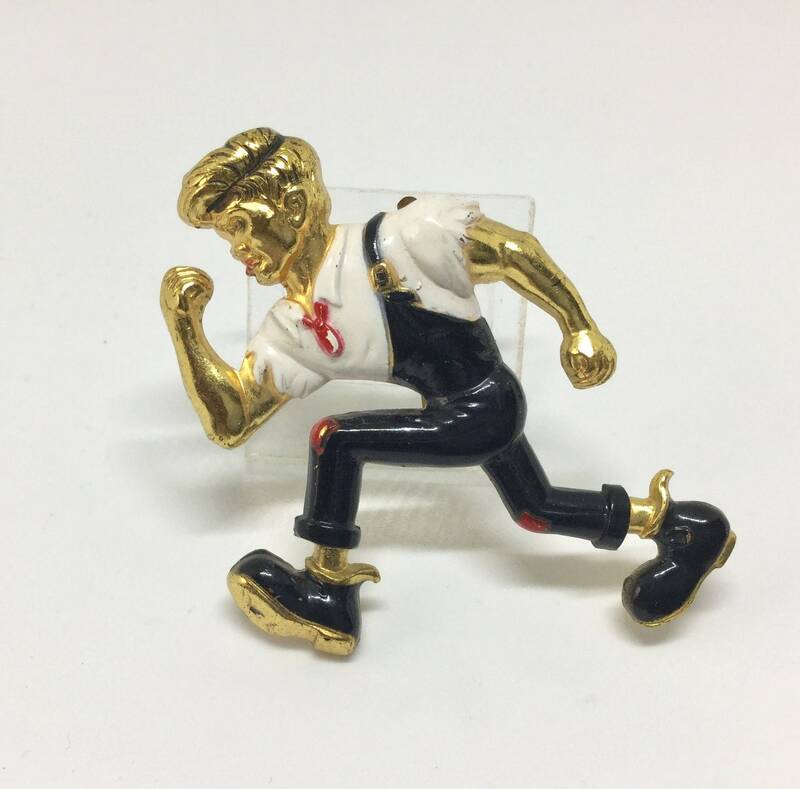 This brooch depicts Li’l Abner running from Daisy in the Sadie Hawkins Day event. 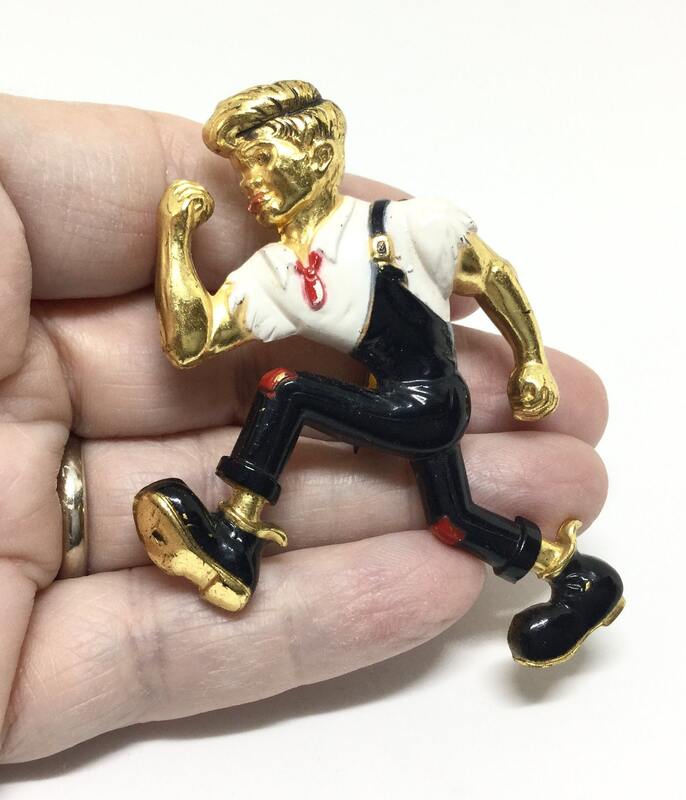 This is an amazing piece of Americana and a great addition to any collection especially those of us that read this comic strip when we were young. 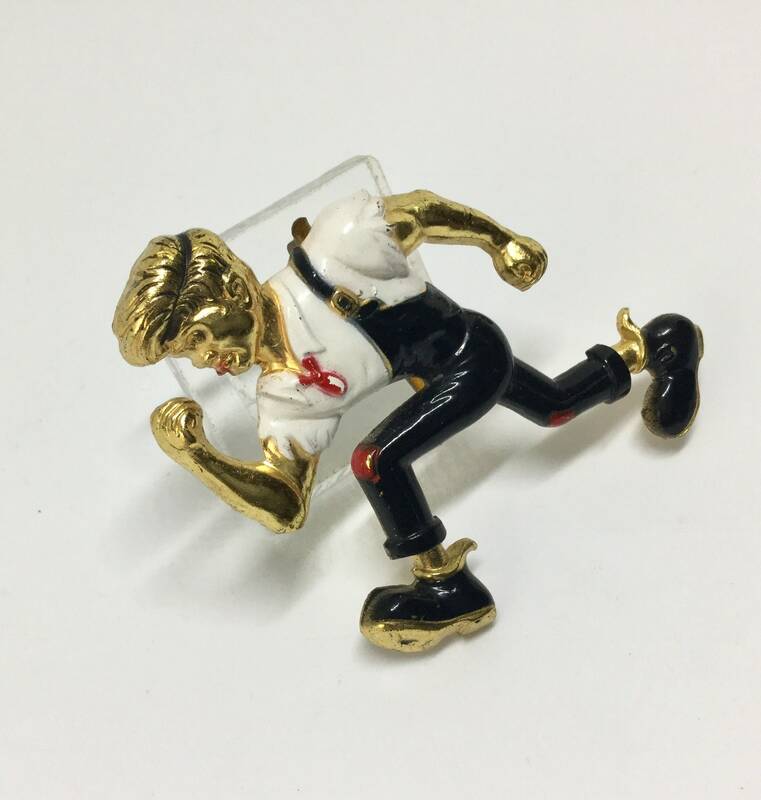 It measures 2 1/2” x 2” and the pinback is straight and works smoothly and securely. 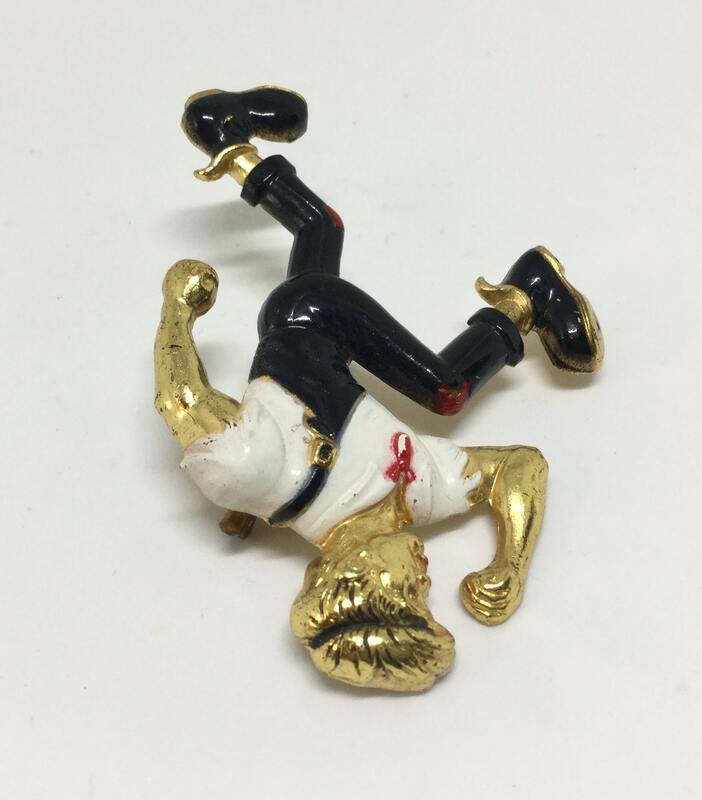 There is some expected vintage wear to the enamel but does not detract from the brooch.